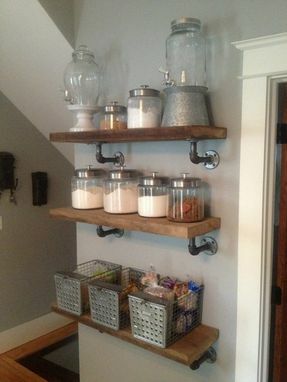 The industrial style shelves are made to order. Please allow a 1 week lead time to fill each order. The wood for the shelves is made from raw, unfinished white oak timber. Please be aware that these are raw pieces of wood and not sanded to a smooth finish. By leaving the timber raw, it adds to the industrial feel and look the shelves were meant to have. 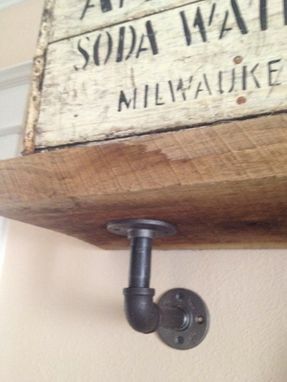 The brackets are made from black iron pipe fixtures. 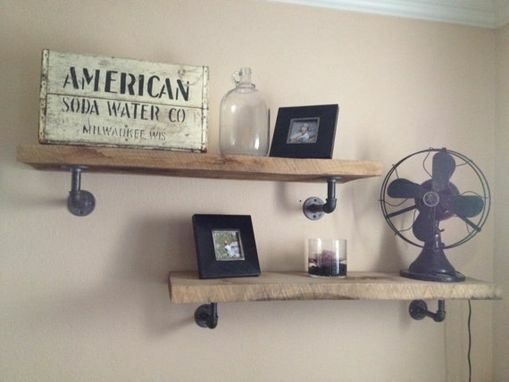 These shelves are heavy duty and must be secured into the wall studs when hung. Once properly secured into the wall studs the shelves are able to hold a lot of weight. So whether it's a shelf for your kitchen to hold jars, small appliances, or cookbooks, or a living room shelf to hold books, knickknacks and photos, these shelves will do the job and add a very unique industrial look to your home. 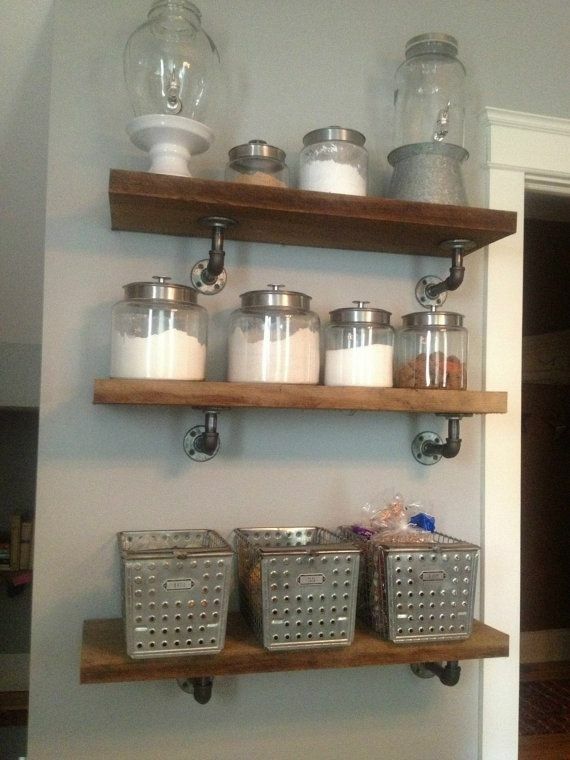 Overall Height with Wood Shelf and Bracket: 7"